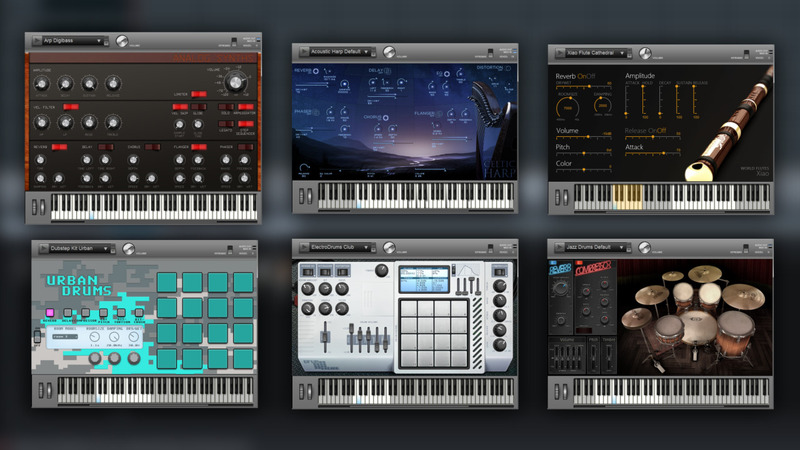 For the modern musician, the Digital Audio Workstation (DAW) is the hub of any recording setup. Whatever genre of music you put out, you require a centralized program that brings together the processes of composing, recording, mixing and mastering your tracks. That’s inescapable. There are many who shell out on studio time to have this step taken care of for them, and there are even some who rely on old-school recording techniques – whether for effect or for money-saving – that sometimes even includes analogue equipment. The rest of us examine our options regarding a DAW to install on our computers so that we can get to grips with these step ourselves. Our options are quite varied; typically, we look to Logic if we are Mac users, or we look to Fruity Loops, Pro Tools, Cubase, Reason or Ableton to learn and work in the music making process. This is fine, as these are the most widely used industry standard programs in the majority of professional studios. The problem is, Avid’s Pro Tools will cost in the region of $600, while FL Studio, with all the plugins, will cost upwards of $1000. What bedroom producer, still learning the craft of music production and recording, would risk such a hefty up-front investment in something that might never really take? To sidestep this problem, I would like to posit an alternative DAW for your consideration: Magix Music Maker Premium. The current version, 2017, is available now for $130 all in, and is not to be dismissed. It comes out swinging in its competition with the heavy hitters, and offers enough features to produce songs that many might find difficult to differentiate from hits made on the more expensive alternatives. With the inclusion of 12 Soundpools (comprising 8,000 sounds and loops in various musical styles) plus numerous VSTi synths, VST plugins and the capability of running any other VSIs and VSTs you want to install, there is really no limit to what you this program can do. 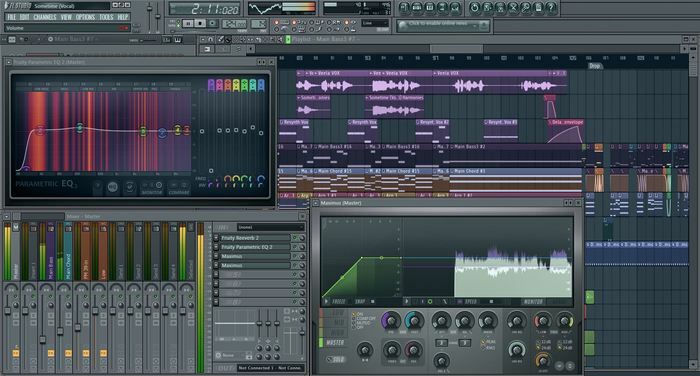 The UI of Magix Music Maker Premium is simplistic and similar in its functionality to that of Logic. 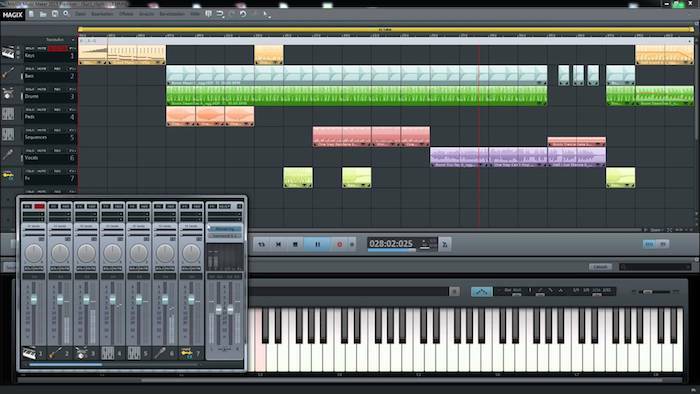 You can place, or draw, blocks of prerecorded sounds or MIDI loops into the on-screen grid, with a summary of basic channel effects and dynamics on the left, and the option of bringing up a more advanced mixing station at the bottom of the screen. There are a number of built-in channel effects for you to use, including EQ, Compressor, Reverb, Delay, Stereo Enhancement and Filter, with the option of adding up to 2 VST effects to a block, and a further 2 to a channel. While this limits you to a maximum of 4 plugins to use per channel on the grid, in most cases you will find that this, plus the built-in effects at your disposal, is sufficient for your mixing needs. The mixing board can feature up to 99 channels running simultaneously, and includes a master controller with its own dB limiter and built-in mastering suite that has some genuinely strong features. MIDI composition screens and synth controllers open in mini windows as you activate them, so you can tweak and experiment with the individual controls for them. The footer window on-screen has a range of tabs to move between virtual instruments, mixer, file browser and Soundpool library. Everything is intuitive and easy to find, and the features are surprisingly rich. Once you have purchased your software, there is really no reason to ever buy something different. All downloadable VSTs can be run in Magix Music Maker, and there is no limit to how many you can add to the library. Put it this way: I started out with Magix Music Maker 2013 Premium, and I still use it now as one of my main avenues for recording. 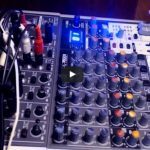 With a suitable USB audio interface, you can record through microphone or any electronic instrument, and MIDI controllers are supported as well. The software runs well, as long as your computer has the necessary processing power to keep up with everything. Any latency problems that arise can be fixed by tweaking the settings, and the occasional glitch can be fixed by restarting the program (these are very rare). It is advisable to regularly backup your projects as you work on them, to ensure you don’t lose anything. There is a built-in feature that usually does this anyway, but there is the occasional inexplicable failure of this feature, so it’s best to stay on top of it yourself. Earlier I mentioned the restriction to a maximum of 4 external plugins that can be assigned to a single channel. Another glaring limitation of Magix Music Maker is its lack of a buss channel assignment capability – buss channels are completely absent from Magix Music Maker, and this can be problematic for more advanced mixing procedures. It is possible to improvise your way around this, for example by bouncing 2 or more channels into a single wave file, then applying further effects to that wavs file on a separate channel. This isn’t ideal, but can be sufficient during mixing. Alternatively, you could look into purchasing the professional Magix program Samplitude, which is a more advanced and rather more costly piece of software that truly does stand alongside the heavy hitters mentioned at the start of this review. Magix Music Maker Premium, for its price and relatively low profile, is a superb piece of software for beginners to middleweight producers/recording artists. It is an excellent starting point to learn the craft of music production, and its beautifully simple UI is matched in brilliance only by its impressive upgrading capabilities. 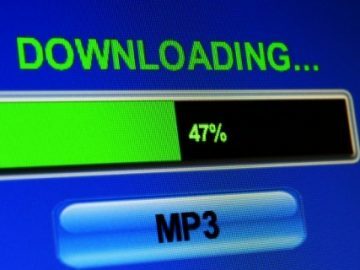 In the long term, its limitations will probably push the most dedicated of musicians to go for its big brother Samplitude, or else one of the other mainstream programs, but with enough dedication you will be able to make professional quality tracks with the low upfront investment Magix requires. If you are taking your first steps into the music recording world, I highly recommend Magix Music Maker Premium as the perfect DAW to get your feet wet and keep using right up to the point of becoming an advanced music producer and sound engineer. Music Sequencers Vs. Trackers – What’s The Difference? Studio Headphones VS Studio Monitors – Which Do YOU Need For Home Recording? My question is this…I play my own instruments. I have a break out box with analog inputs and digital outs. Can I record my music with me playing say a guitar, bass, drums into this program for processing? In other words can it function as as sound processing, recording DAW? Hey Rick! What box do you have exactly?